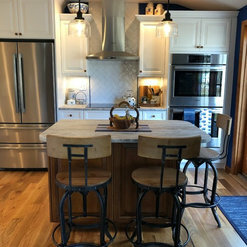 We were very happy with the kitchen remodel by Southeast Kitchen & Bath. Nick and his staff were always courteous and helpful. We would not hesitate to recommend this company to our friends and family. We would hire them again for future projects. 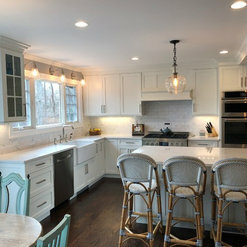 We had a wonderful experience working with Southeast Kitchen & Bath for our remodel which included flooring on the entire 1st floor of our new home and a complete gut of the kitchen and dining room including taking down load bearing walls to open up the space. 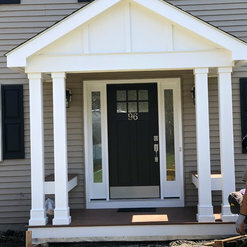 Everyone from the owners to the office staff to the crew onsite and vendors at the house were professional as well as courteous and kind throughout the project. We were living in the home as the remodel was happening (with three young boys) and everything was done to help us live as comfortably and safely as possible. The crew was prompt and on time every day and the house was left clean and safe at the end of every day. Anthony met with us to go over all potential renovations we wanted with price estimates "a la cart" so that we could choose which projects we could complete at the time. He met with us another time prior to signing off on the contract to answer any and all of our questions. 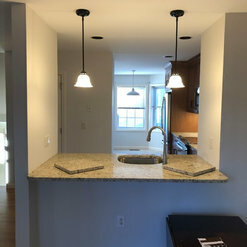 Christopher was very patient and knowledgeable about design and measurements of the kitchen and went over all options with us. Nick saw us through the project and was onsite overseeing all work daily. Any and all questions and concerns were met with patience and prompt replies and communication. Any calls made to the office to Cynthia and Nancy to get in touch with Nick were met with friendly and quick responses. 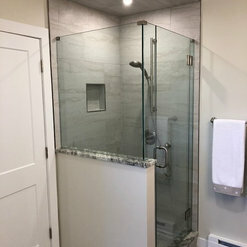 Any new estimates we were interested in adding to the project and/or needed were handled with a "no problem" demeanor which we very much appreciated. This was quite a large project and we are more than thrilled and excited about our new kitchen and dining room! 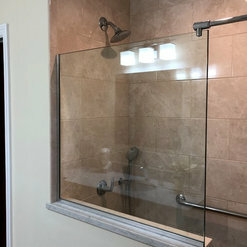 We are very excited to tackle other areas of the home as well and will definitely be contacting Southeast Kitchen & Bath for the these upcoming projects as well. the southeast kitchen and bath family were all courteous, professional, knowledgeable and friendly. anthony put the project together and nick saw it through every day. any questions or concerns were delt with immediately. the crew on this project were excellent. 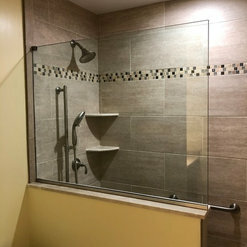 everyone was easy to talk to and made this a very good experience with remodeling. AMAZING! 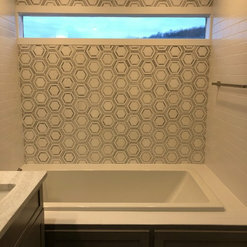 One would think living through a total remodel would be overwhelming, but SEK&B helped make the experience go smoothly. We weren’t moved in for part of the remodel, but were living through it for most of it. Our ideas were brought to life on paper from the very beginning when initially working with Anthony, the owner, and then Chris, the designer of the project who made it all fit. Chris patiently listened to us and carefully researched layouts and made suggestions for which materials and colors to use. Finally, Nick, the owner, continued to make the plans come to life and was onsite often making sure all questions were answered. Now on to the patient and talented carpenters who skillfully transformed the rooms. This summer, SEK&B did a total kitchen remodel plus a bar in the attached living room for us. In addition to our flawless kitchen/living room space, a custom floor to ceiling, wood pantry was created from our previous laundry room and a separate side room was transformed into a mud room/laundry room with new cabinetry and new tile floor throughout. Our floors on the main level and stairs were stained and our second level floor had carpet removal and new hardwood floors layed down and stained. 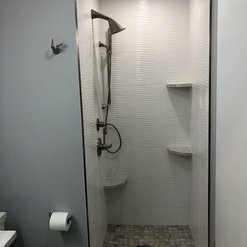 We are beyond pleased, from start to finish, with the skill level, quality of products, promptness with updates and responses, neatness on the job site, patience and professionalism from ALL the staff and hands on carpenters involved in the process in making our remodel exactly what we wanted. 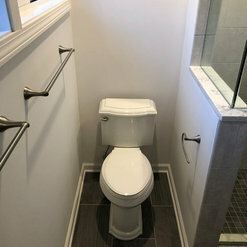 And when we say patient, we mean it..we had several questions about little things throughout the process for our carpenters, painter, tiler, electrician, plumber, and owner Anthony and Nick, and all questions were answered with respect and patience. We especially loved working with our project manager, Troy, who is the most patient man there is! He has a lot of experience in several carpentry areas and helped make decision making easy. Everyone together made this all come together. We appreciate the professional team work and highly recommend this business!! Southeast Kitchen and Bath is an excellent company that strives to fully satisfy. This was the only company that truly listened to our desires and made sure to explain all possible options and limitations that could lie ahead for our 3 room renovation. They interviewed us regarding how we lived and came back with a novel design which was exactly what we were looking for in a contractor. They have a trustworthy, courteous and hardworking group of craftsman. The end was everything and more than we were hoping for. While they were not the cheapest pricewise, the cost is worth it in the end. Especially since they came in on budget and on time with absolutely no delays or hiccups. You made our family very happy and proud of our new kitchen, dining room and sun room. Thank you! Southeast Kitchen did a wonderful job remodeling our kitchen approx 8 years ago. Recently we had a hinge break on a corner cabinet. It was a complicated hinge so a replacement was difficult to find. Nick at Southeast Kitchen came out, took a look, found the hinge, ordered it, and then came an installed the new one. Great job and great service. we installed all new hardwood engineered flooring throughout the entire house. All new cabinetry, counters, tile, plumbing, undercounter lighting and painting! I couldn't be happier with the workmanship, efficiency, and attention to detail. I wouldn't hesitate to use Southeast Kitchen and Bath again !!!! Recently downsized from a house to townhouse. Kitchen felt small and dated circa 2000. Townhouse also felt very cookie cutter. The team at Southeast came out and completed beautiful kitchen remodel with tile backsplash and granite countertops. I also had my fireplace tiled to make home more me and less cookie cutter. Also took opportunity to paint the interior. Everyone that played a part in executing the work demonstrated expertise in their job, were respectful and joy to work with. The team arrived when expected and left my home neat and clean at the end of each day as well as took care to protect my property. Overall no complaints and 110% satisfied with the finished product. It was an absolute pleasure to work with this company. 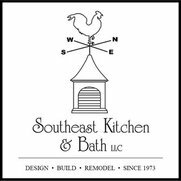 We interviewed many companies, but when we found Southeast Kitchen and Bath, we knew we found the right company to do our project. We never felt overwhelmed with any part of the planning. Nick and his crew are very detail oriented. Nothing was overlooked. I knew the name of every person that stepped foot in my door. 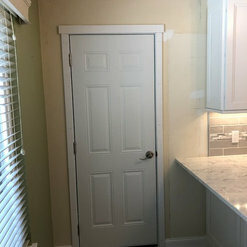 My family and I are thrilled with the end result of our kitchen renovation. Highly professional team of skilled workmen who clearly knew each other and worked well together. Coordination with plumbing and electrical sub-contractors was also well managed. Project was completed as scheduled and as budgeted (including change of orders). 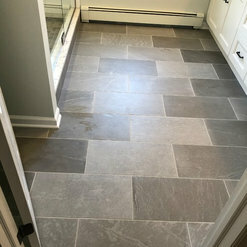 Excellent job on a small bathroom and hardwood floors throughout the house (even got the pet stains out!) Wonderful cleanup and friendly and professional staff from start to finish. Very pleased with both finished projects and would hire again for future work.